Department of ENT at Star focuses on the treatment of ear, nose, throat and head and neck conditions in children and adults . The ENT department at STAR Hospitals provides a wide range of services and maintains the highest standard of medical care. Our team is focused on the overall welfare of our patients and their families, aiming to restore quality of life with the highest degree of professionalism. The Department is renowned across the country that is well equipped with ultra-modern facilities, amenities and the expert team of ENT Surgeons, Audiologists and Therapists along with the latest operating microscopes, diagnostic video endoscopes and an up-to-date audiology lab. 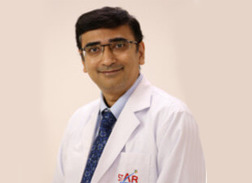 With over 3000 sinus surgeries, the team is considered one of the leading ENT surgical teams in India. 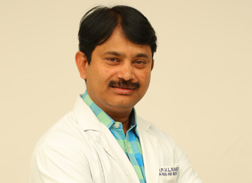 The team strongly believes in patient friendly techniques like minimally invasive or endoscopic procedures which are challenging for the surgeon to perform, but involve minimal or no blood loss, with reduced but effective stay at the hospital. At STAR Hospitals, we believe that a patient recovers faster within the comforts of their home. 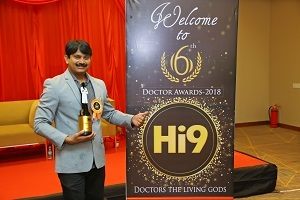 Hence, our effort has been to maintain the Department of ENT as a Short Stay Unit by performing all the related surgeries with minimally invasive techniques which incur least blood loss thereby reducing the stay at the hospital. Myringoplasty:This operation is done to close a hole or ‘perforation’ in the ear-drum. A perforation predisposes the patient to recurrent middle ear infections, can impair hearing. There are a number of ways to close a hole in the ear-drum. The size and location of the hole and the anatomy of the ear canal will determine which approach is needed in such a situation. The operation lasts about 3 hours and is performed under local anaesthesia. Mastoidectomy:A mastoidectomy is performed to remove diseased mastoid air cells. These cells sit in a hollow space in the skull, behind the ear. The diseased cells are often the result of an ear infection that has spread into the skull. Sometimes, the infection spreads onto the temporal bone. If this occurs, parts of the bone may need to be removed. Reconstruction of the middle ear: The middle ear is an air filled cavity lying behind the eardrum. If the bones of the middle ear have been damaged from infection, trauma, cholesteatoma, surgery or other causes, they can be repaired by replacing them with man-made prostheses. Many techniques for this procedure exist and need to be tailored to the individual case and anatomy. Any or all of the middle ear bones may be replaced to improve the hearing state. This delicate procedure gives excellent results in the majority of cases. This is done under local or general anaesthesia on an outpatient basis and takes about an hour. Balloon sinuplasty: Balloon sinuplasty is done to enlarge the sinus drainage pathways. It is a highly sophisticated technique where without cutting any tissue, balloons are used to enlarge the sinus drainage pathways. Compared to traditional surgery, most patients can return to work the next day without any evidence of the procedure. 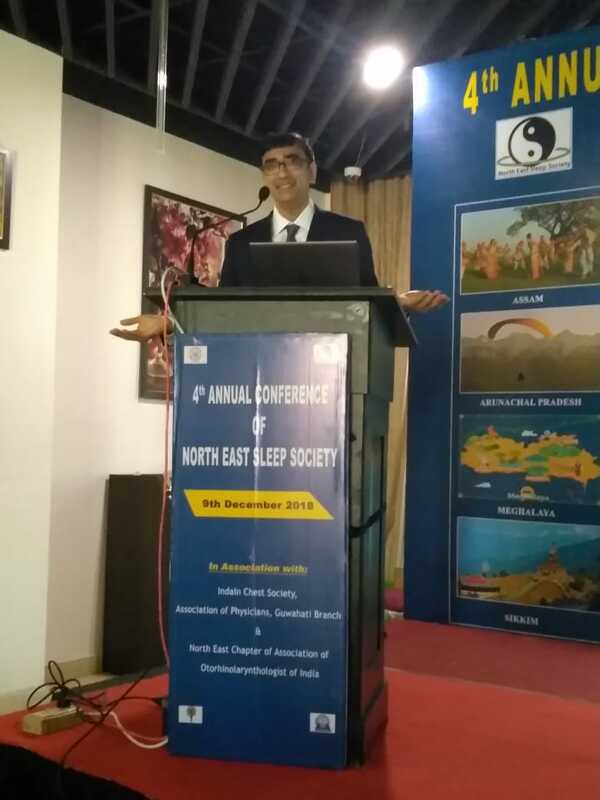 It is similar to the stenting procedure done to heart to open up the vessels Many times snoring can be treated with a brief procedure performed in the comfort and convenience of our office. This includes radio frequency volume reduction, coblation palatoplasty and injection snoreplasty. These procedures involve minimal pain. Turbinate Reduction or Turbinoplasty: Turbinates are small, rounded, bony projections inside the breathing passage on each side of your nose. When turbinates get enlarged they give rise to nasal obstruction. If medical therapy does not resolve the problem, we can perform turbinate reduction. Using local anaesthesia, the consultant will decrease swollen turbinate tissue beneath the mucosal tissue layer to provide significant improvement in the nasal airway. There is no significant post-operative bleeding, crusting, or pain with this procedure. Microlaryngeal surgeries for hoarseness of voice: An operation to remove nodules, polyps and non-cancerous (benign) tumours maybe recommended if these are identified at the outpatients visit. This type of operation is usually done under general anaesthesia using a rigid telescope (Endoscope) and a microscope (to provide magnification).